The death toll from a boat which capsized off Bangladesh carrying Rohingya refugees is set to pass 60, the UN migration agency said Friday. “Twenty-three people have been confirmed dead … 40 are missing and presumed drowned,” International Organization for Migration spokesman Joel Millman told reporters in Geneva, referring to the Thursday accident. “The total fatality toll be in the range of 60,” he added, updating a previous toll of 19. Survivors from the accident told IOM staff that the boat was carrying about 80 people, including 50 children, who were believed to be fleeing violence from Myanmar’s northern Rakhine state. “Survivors described being at sea all night, having no food,” Millman said. 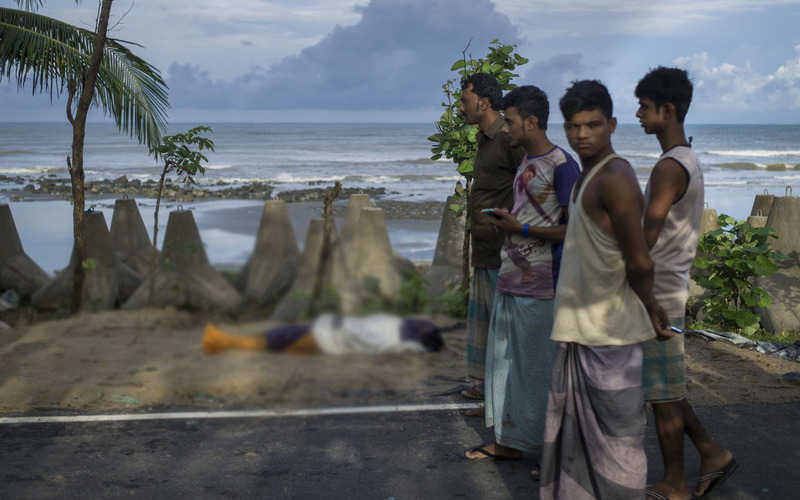 “The Bay of Bengal has been a notorious killing zone for many years,” Millman added, highlighting the dangers facing Rohingya migrants seeking safety via the sea. He added that the “captain” of the vessel, who is a suspected trafficker, is missing and presumed dead, but not included in IOM’s death toll, which counts only the migrants.